Our “story” begins about 3,400 years ago. The people of Israel are standing on Red Sea shore. Behind them the Egyptian Army and in front of them the sea. Undoubtedly, time of distress. The people of Israel are crying to the Creator asking for a miracle, and then, as opposed to any reason, the Creator answers Moses: “Why do you cry to me? Tell the people of Israel to go forward, they can do it! (Yes, they can!). Rabbi Shlomo Ben Yitzchak (RASHI) in the Suka Mishna explains the way of creating the 72 combinations, 3 letters each, that are encoded within the above mentioned verses known as 72 names. These 72 names are mentioned in many places in the Bible, in the Holy Zohar, in the writings of Rabbi Yitzchak Luria (HaAri), in the prayer books, by many sages and Kabbalists and more. According to the Kabbalists, these three verses preserve such great power and wisdom that he who knows how to connect to them and use them with wisdom can change the world / reality, exactly as Moses used them to create a miracle. It was not for nothing that Gasner asked Moshe Laufer to compose the 72 names piece for him: “each of us (who wants it, of course) has the power to change and the power to do:, explains Avi Gasner. 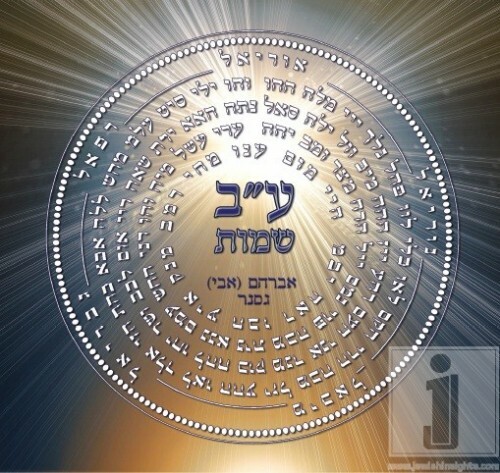 “All we need is to believe, to know how to connect to the power that motivates us and is preserved within the 72 names and… to do / to implement, in general and especially now, on the new moon of Nisan and on Passover”. The peak of the month of Nisan is the Eve of Passover, the Seder Night, when we organize our lives, get out of physical and spiritual “slavery”, get out from between the boundaries, build the whole spiritual construction of our lives, lay the basis for repairing all of our defects, for keeping our health, for success and all the best of life, for the entire new year.